We all know that advancements in technology have enhanced our lives by making plenty of things we’ve always enjoyed so much better. We can now stream the best TV from around the world whilst on the go, access millions of songs with the click of a mouse and even meet a potential life partner by swiping a screen whilst sitting on the sofa. These beauties fit that theme perfectly. Not sure how a vintage style runner can be so cutting edge? Well, you’re about to find out. The name Iniki is taken from Hawaiian; its literal translation is strong and piercing wind. With that in mind it’s no wonder that these beauties have some of the technical components that you’d expect to find on a high-end running shoe. Let’s start with the sole – the boost technology doesn’t just provide immense cushioning for every step. The boost soles, which are also used in the brands’ running and basketball trainers, ensure that kinetic energy from your stride is maximised. Fancy, eh? Think of them as being similar to a trampoline that springs you back up when you jump on it; the more you give, the more you get. The sole isn’t the only nifty high tech feature of these kicks though. The upper makes use of two way stretch mesh, adding comfort whilst reducing weight. There’s also a hidden sock construction (called OrthoLite, to be precise) which makes it incredibly easy to slip these on and off. Although, we’re not quite sure why anyone would want to take them off! So, now you know about the features that make sure these are high performance and super comfortable, you’re probably finding them pretty appealing, right? But there’s more…what’s better than high performance + immense comfort? Yep, it’s high performance + immense comfort + sweet, sweet retro style. 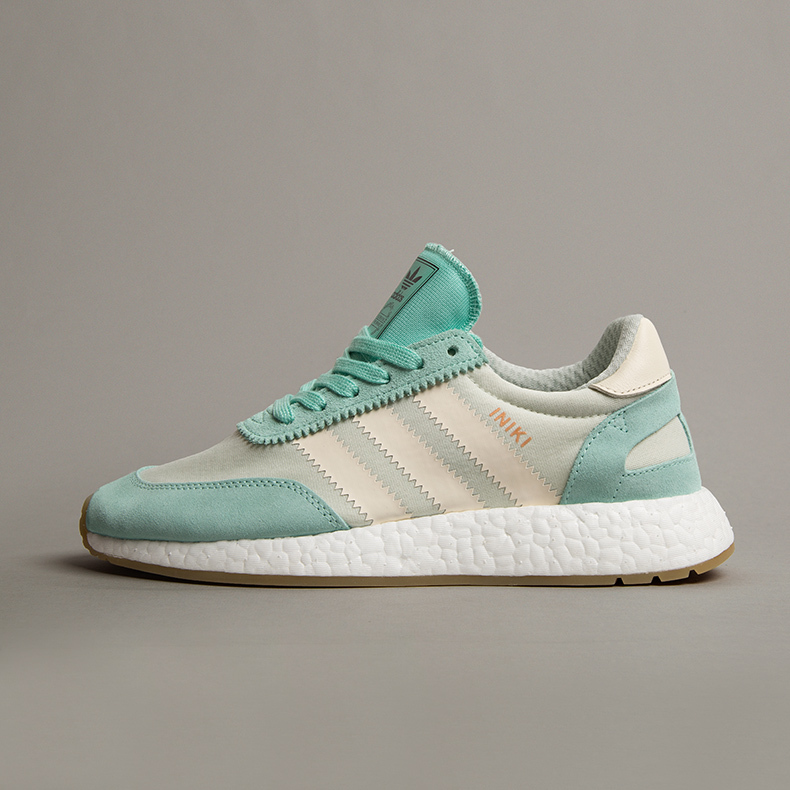 As you can see from the images, the Inikis channel that classic 70’s running look. With detailing like the perforated three stripes, vintage suede and deconstructed heel cap there are strong retro vibes that perfectly complement the contemporary features. There’s also a range of different colourways. We’ve got some neat, subtle tones available in women’s models, whilst the next couple of months will see some exciting additions to our men’s range. 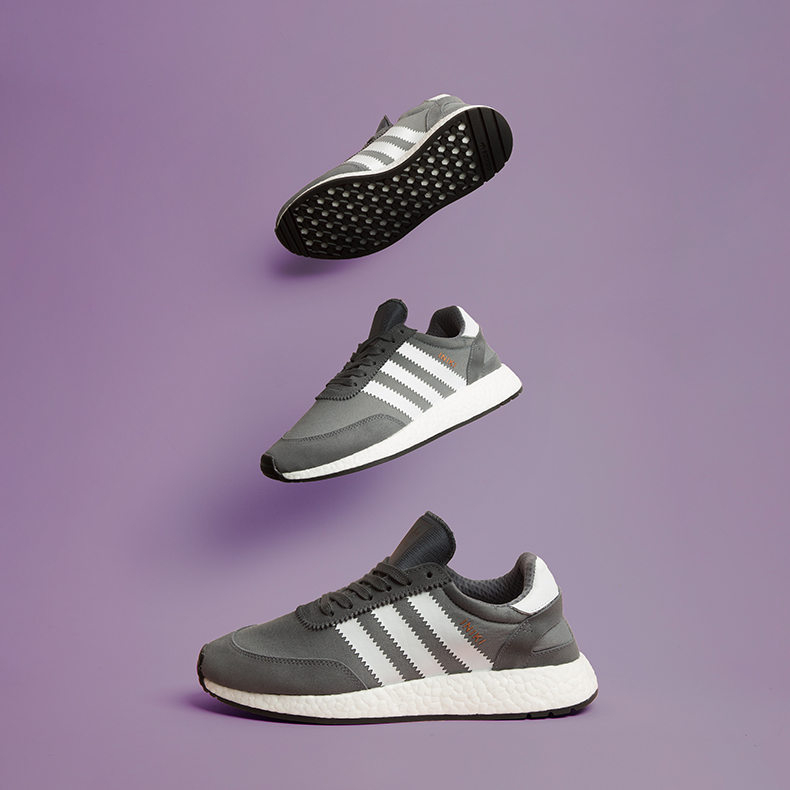 Despite the vintage aesthetic, the Iniki is not simply an old model that has been bought up to date following advances in technology. It’s a brand new design that encapsulates everything that makes adidas such a well loved brand. Essentially, all that bluster boils down to the fact that we’ve got a sure fire modern classic on our hands (and feet!). They make looking good whilst being comfy a breeze and they’re set to take the sneaker-head scene by storm. 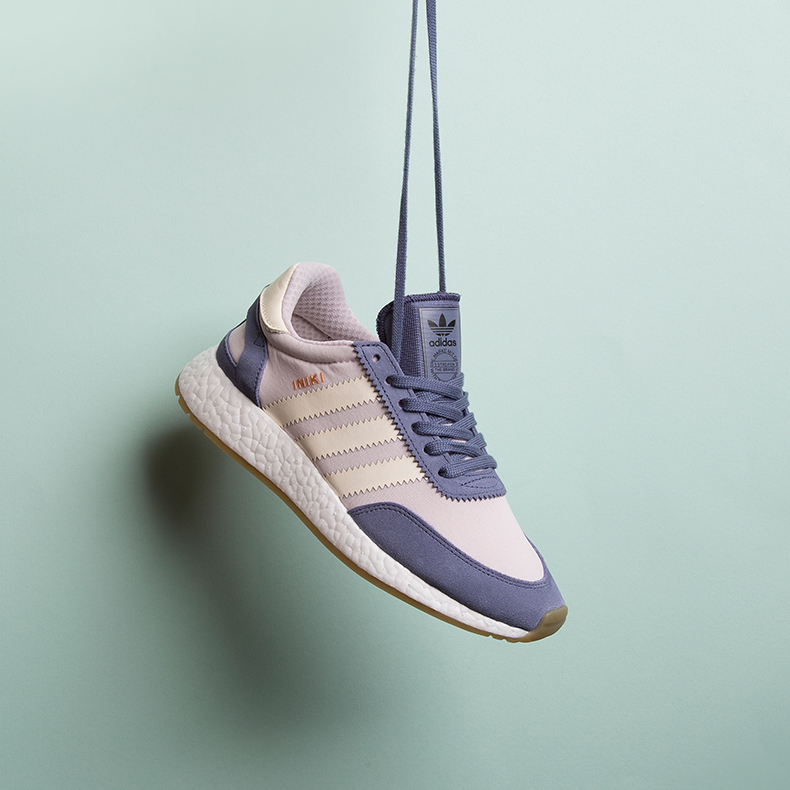 Time to race on over to our adidas range and get your Iniki Runners now.